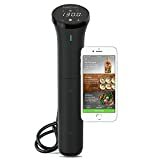 Cyber Monday saw a few great deals pop up on some of the most popular sous vide cookers out there. Don’t panic if you missed them because you were too busy shopping for TVs, though, because we’ve got some fantastic news: the two best sous vide deals of Cyber Monday 2018 are still available right now. 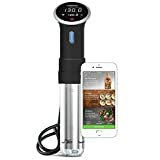 The Anova Culinary Sous Vide Precision Cooker with WI-FI + Bluetooth is the best at-home sous vide machine in the world, and it’s available at a huge $100 discount right now. If you want something even cheaper and more compact though, you can snag a Anova Culinary Sous Vide Precision Cooker Nano for just $64.